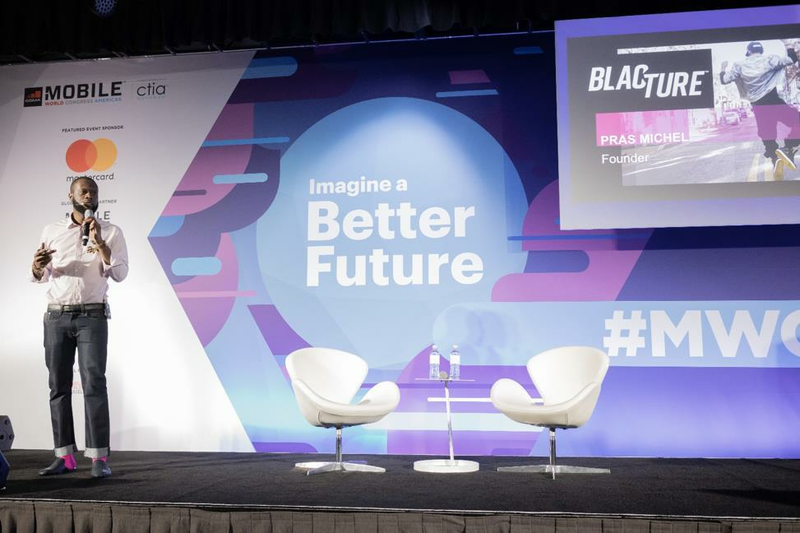 (MENAFN Editorial) LOS ANGELES, September 27, 2018 (Newswire.com) - Artist, entrepreneur and humanitarian Pras Michel gave an inspiring keynote at the Mobile World Congress Americas, as he announced plans for the Blacture M1 – the first blockchain phone to be available in the U.S.
During his speech, the artist also highlighted important contributions that African Americans make in creating trends and influencing mainstream lifestyles. A recent Nielsen report showed that the buying power of this demographic reached $1.2 trillion in 2017, indicating that African Americans drive new trends. Michel then shared the inspiration for his digital platform, Blacture, as a whole. Meant to usher in a new era of Black renaissance, a commercial teasing the initiative aired during the 2018 Super Bowl and was seen by nearly 1.2 billion people. The Blacture digital platform is an ecosystem that houses elements such as Education, Healthcare Entertainment and an E-Marketplace. The innovative Blacture M1 Blockchain based Android OS Smartphone will be a conduit to access these services, as well as other additional exclusive content. The device, which also features NFC capability and wireless charging, will be pre-embedded with a digital e-wallet and comes equipped with a prepaid card. Michel's appearance at the Mobile World Congress Americas, the world's largest exhibition for the mobile industry, is ground-breaking in that it is the first time anyone has debuted a product created for 'the Culture,' targeting Black consumers first – not as a postscript – and solidifies his place as a thought-leader in this ever-changing industry. For more information on the Blacture M1 blockchain-based smartphone visit www.blacturem1.com and register for updates.